A 1 hour activity making a working push-button to play a “Classic” video game you can re-program! Interface the push-button to a Raspberry Pi computer’s input/output wiring to drive a video game character. 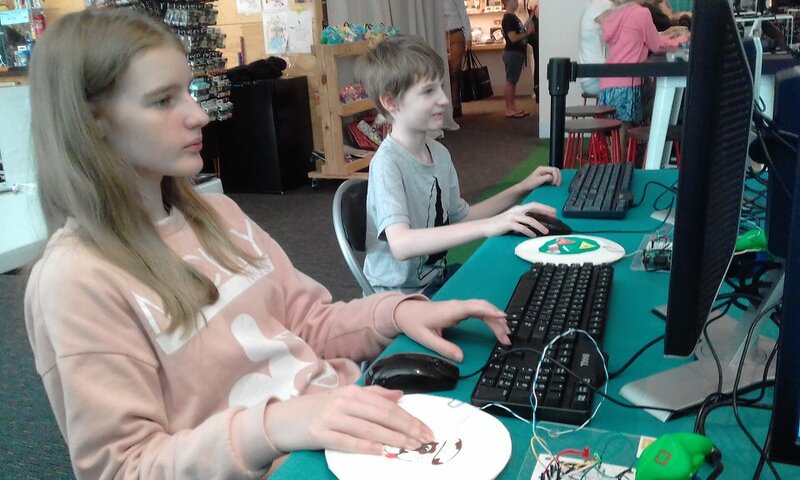 Instead of children being limited to playing yet another video game, they can also make the game controller, colour & re-animate the game characters, and change the program through simple Scratch block coding. This is an introductory course to get a taste of learning about electronics and coding iconic games such as Space Invaders and Asteroids. Take home your creation at the end of the session. Ages 8+ years – parents & adults welcome to join too. Limited space, booking is essential. Cost $35 per person. Entry to Museum included for participants.